BALTIMORE (JTA) — Like many European Jews whose survival of the Holocaust led them far afield, Zygmunt Mandel relates a gripping, heartbreaking tale. His final stop before attaining his ultimate destination, Israel, in 1943 is striking: India. Days after Germany’s conquest of Poland in 1939, Mandel; his mother, Barbara; stepfather, Zygmunt Rappaport; and older sister, Lila, fled their native Krakow for Kovel and then Lvov. The Soviet army sent them to Tesma in Russia’s Ural Mountains. (Lila remained in Lvov and was murdered during the Shoah.) They reached Buchara, Uzbekistan, where the parents died of typhus. Mandel stayed briefly at a Polish orphanage in Samarkand before being transported to Ashgabad, Turkmenistan. Other Polish orphans converged there from elsewhere in the Soviet Union, and Mandel joined them on a truck convoy that departed on July 14, 1942. The passengers, including 12 Jewish children, journeyed 2 1/2 months and more than 1,300 miles through present-day Iran, Afghanistan, Pakistan and into India. They finally reached Maharajah Jam Saheb Digvijaysinhji Jadeja’s summer estate in Balachadi, a village northwest of Mumbai. The maharajah was away much of the time serving on the Imperial War Council in London, and it was in the British capital that Poland’s prime minister in exile requested that he house the displaced orphans. A map of the Balachadi site, called the Polish Children’s Camp, plots the location of the dormitories, school, playground, soccer field, tennis court, roads and flagpole. The four-page report states that the camp included a 30-bed hospital ward and dispensary, with the children having arrived in “naturally very poor” condition and many needing appendix, tonsil and dental treatment. Their medical improvement “after only a few weeks’ residence … was most marked” and they “soon settled down and are most happy in their new surroundings,” added the report, apparently written in 1942. The children received three meals daily, along with afternoon tea. On the maharajah’s first visit, they dedicated the camp’s main road in his name. India’s role remains little known, even to experts on the Shoah. 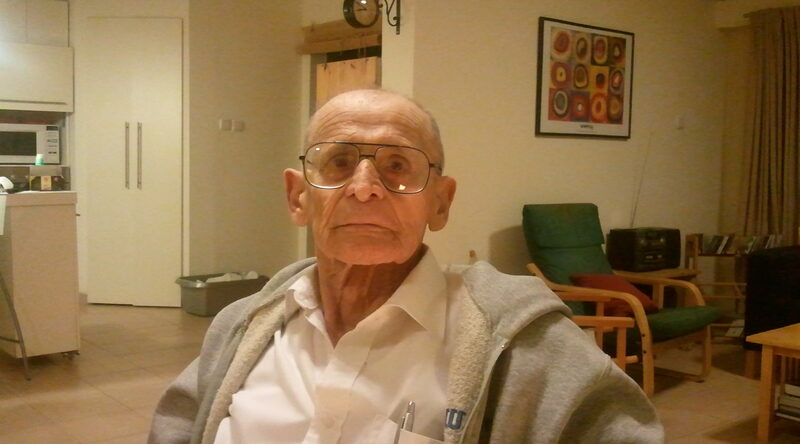 When reached at his Petach Tikvah home, Mandel had just bid farewell to researchers from Yad Vashem, Israel’s central Holocaust-commemoration institution, who had interviewed him about his India experiences. They had known nothing about the orphans’ stay in India, he said. Mandel had contacted Yad Vashem after one of its officials spoke in May on the “Hamador L’chipus Krovim” (Searching for Relatives Bureau) radio program about an apparently separate incident she had just learned of involving 1,200 Polish refugees who reached India by sea. India’s serving as a refuge is a “fascinating” aspect of the “transnational phenomenon” of Shoah history, said Atina Grossmann, a history professor at New York’s Cooper Union, who spent much of June as a USHMM visiting fellow. The era’s geopolitics complicates the story, Grossmann said, with England being “paranoid” on multiple levels: sitting on a powder keg in India, which would gain independence in 1947; worried about how its Palestine policies played among India’s Muslims; and mindful of its alliance with the Soviet Union against Germany. In 1943, Hershel Cynowicz, a Jewish Agency for Israel representative in Mumbai, arranged for the 12 Jewish children staying at Balachadi to go to prestate Israel, Mandel said. They traveled by ship to the Suez Canal port of El-Qantara, then by train to Haifa. A Jewish Agency document lists Mandel and the 11 other Jewish children at Balachadi who reached Haifa on April 24, 1943: Edmund Erlich, Paula Gilert, Avraham Magnushever, Fima Kaufman, Cyla Rozengarten and the siblings Ilona and Janusz Goldlost, Roza and Rachel Hoch, and Eliza and Maria Spalter. Rabbi Elias Shor chaperoned them from Mumbai to Israel. Now retired from a 40-year career as an intelligence-security specialist in the Israel Defense Forces’ Signal Corps, Mandel said he is “happy” that India and the maharajah welcomed him. He also is grateful to Cynowicz and Walter and Lotte Daus, a German-Jewish couple who had escaped to Mumbai and re-established their umbrella manufacturing company. The Dauses briefly hosted Mandel and Erlich in Mumbai and later joined them in Israel. Mandel, a widower with two sons and four grandchildren, kept up for a time with some of his India mates. Magnushever changed his surname to Magen and moved to France, but Mandel hasn’t heard from him in 20 years. He knew that Eliza Spalter married an IDF general, Nehemia Kain. Mandel speaks occasionally with Erlich, a successful restaurateur in Paris who once ran Jerusalem’s King David Hotel.